Two years ago I was preparing to fly out to Chicago for my very first IRSF annual conference. My grandmother had just passed and I had to choose between going to the conference and her funeral. As I think about preparing (because I still don’t leave for another 24 hours, way to early to pack and get ready) for the conference this year I have been thinking about that trip and how weird it is that I am going to another one. I am thrilled and very excited to be going. I look forward to seeing some of the faces from two years ago as well as ones that I see more often, only this time with no kids! I constantly struggle with feeling like a complete failure in the mom department as Rett Syndrome is just so darm complicated! I know that I will learn a lot about some of the topics that I second guess myself on and that will be a huge help in our daily life. At the same time I imagine what we might be doing if we weren’t going to a conference on Rett. Perhaps we would stay close and steal away to the city and eat at amazing restaurants that kids wouldn’t appreciate or go down to Disneyland all by ourselves. But we are going to Colorado because our daughter has Rett Syndrome and we need the help, support and encouragement that is there. It is so crazy to think that two years ago I sat listening to Judy L. talk about access to communication and how many girls are given very large switches and that many can use a smaller switch. I also heard Susan Norwell talk about literacy. Once I got home I ordered a smaller switch for Claire and started working on communication. Now she has a full blown eye gaze system that she used to tell me that she wanted earrings the other night. I don’t remember a lot of detail from that weekend, other than that I was completely overwhelmed. It was good that I went and brought back a lot of materials that helped Claire’s team to work with her. It was truly a surreal experience. And now we are going again but under such different circumstances. 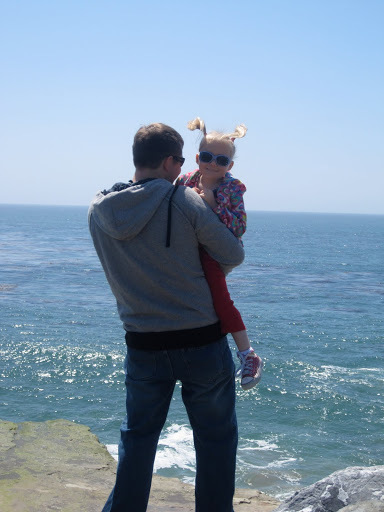 I can’t believe how much easier (sometimes it doesn’t feel like it) living with Rett has gotten. Some of the initial shock had worn off and Claire is teaching us every day about living in a body that she can’t control the way she wants to. The conference is over Memorial Day weekend each year in an effort to make it easier for families to attend. Even thought we might not go every year, we will have the marker of conferences in different years to look back on. 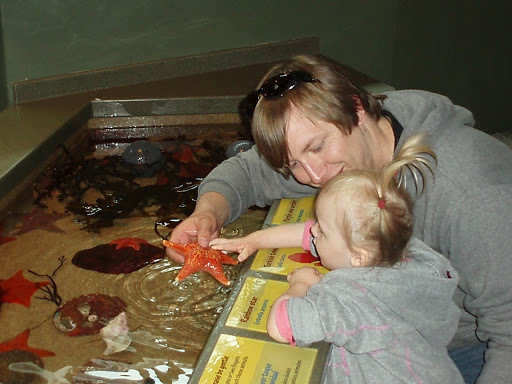 This picture is from May 2008, I had forgotten that Claire ever could reach out and touch the starfish on her own. The other picture taken two years later, her pig tails a little longer and her smile a lot brighter. I remeber meeting you that first night of conference!! I SO wish I was able to make it this year 😦 I am so glad to have you part of my life….give all those amazing moms out there a great big hug for me!